We sell and install most brand name Power Accessories including Banks Power Products, BD Performance, Super Chips Programmers and BD Exhaust Brakes. 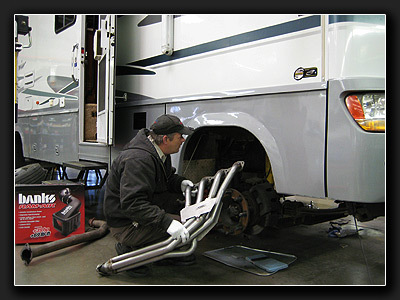 Here, a technician installs a Banks Power Pack System on a Class A Workhorse Chassis Motor Home. 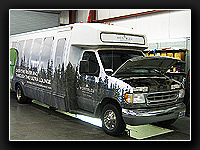 We have kits by Banks Power and many other fine manufacturers available for Autos, Trucks and Motor Homes. 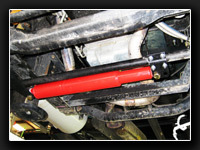 We sell and install most brand name Handling Accessories such as Anti-Sway Bars, Steering Stabilizers, Track Bars and Shock Absorbers. 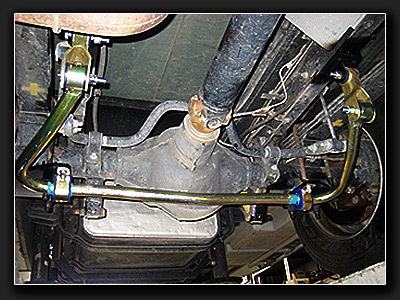 This is a Roadmaster Anti-Sway Bar installed on a Class A Motor Home. 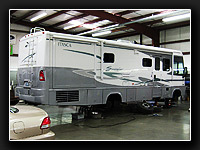 We have models available for most Pickup Trucks and Motor Homes. 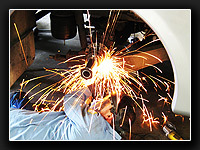 We have Tires, Steering Stabilizers, Heavy Duty Shock Absorbers, Anti-Sway Bars, Alloy Wheels, Exhaust Brakes, Power Products and more. 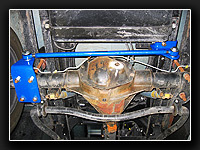 This is a Safe-T-Plus on a Class A Ford chassis motor home. 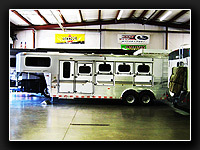 Other models are available for Diesel Pushers, Class C, Chevrolet P37 Chassis, Pickups and others. We install most accessories made by most major manufacturers including Solar Panels, Super Steer, Helwig, Davis Tru-Trac, Banks Power, BD Performance, Bilstein Shock Absorbers, and many others. 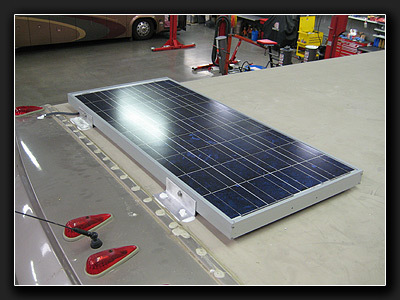 Right, a 100 watt Solar Panel installed with an Echo-Charger to keep all the batteries charged, Echo-Chargers can charge all your batteries whether you are using Solar Panels, a Generator, Shore Power or your engine Alternator. Air Intake Systems and High Flow Exhaust Systems are two of the biggest Bang For Your Buck performance upgrades available. 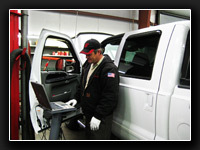 We have kits available for both Gas and Diesel Cars and Trucks. 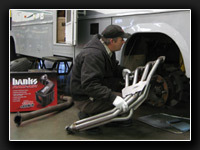 Here, a technician installs a High Flow Intake System on a late model Ford Diesel Pickup. High Flow Intake Systems improve power and economy and lower EGTs as well. 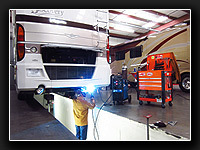 Yes, we work on TRAILERS. 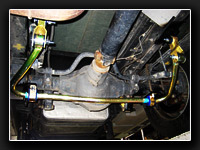 Click here for a Trailer Wiring Diagram you can print out and keep in your tool box.